As we just announced, night time at Disneyland park will get even brighter with the return of Main Street Electrical Parade early next year! Twenty years since it last glowed down Main Street, U.S.A., at Disneyland park, this “spectacular festival pageant of nighttime magic and imagination” will return for a limited-time encore engagement. 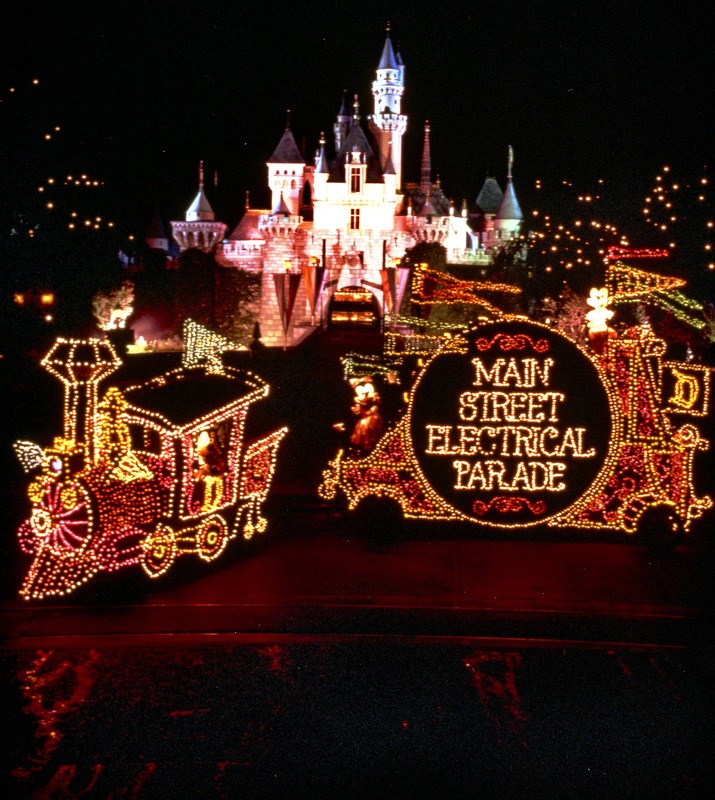 The quintessential Disney Parks nighttime parade, the Main Street Electrical Parade began at Disneyland park in 1972, shining brightly in the memories of thousands of Disneyland park guests until the end of its initial run in 1996. 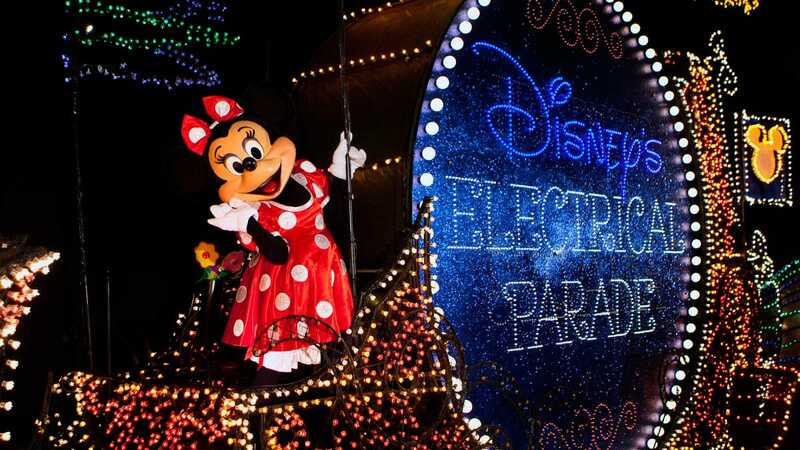 It returned to the Disneyland Resort as Disney’s Electrical Parade, bringing magical Disney stories to Disney California Adventure park from 2001 until 2010, when it crossed the country to begin its most recent run at Walt Disney World Resort. 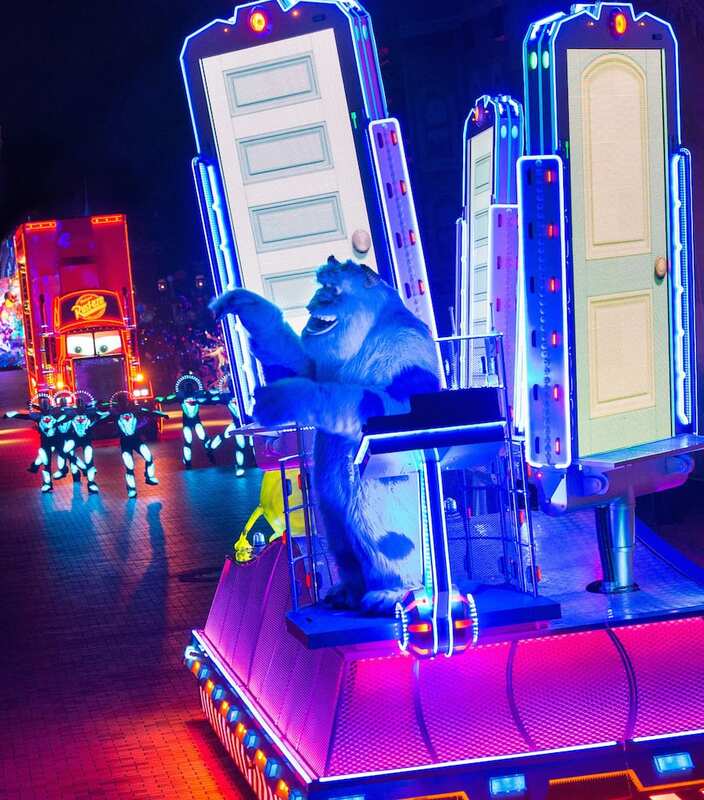 Before its half-million tiny lights return to illuminate the imaginations of a whole new generation of Disneyland park guests, there is still time enjoy the experience this beloved favorite inspired – “Paint the Night” parade. “Paint the Night” parade will continue nightly performances, just before “Disneyland Forever” fireworks, through September 5 as part of the Disneyland Resort Diamond Celebration. And I’m excited to share today that this popular parade will return on select nights during the holiday season later this year. Be sure to keep an eye on the entertainment calendar at Disneyland.com for performance dates and times. Stay tuned to the Disney Parks Blog for more details — including dates — for this special engagement of Main Street Electrical Parade at Disneyland park next year! Where’s the Passholder ticket info???? I was at Disneyland on November 30th and spotted the petes dragon from the electrical parade in a lot just off the parking structure!!! Seems like they are getting all the parade floats ready!! Any updates on the select dates for Paint the Night during the holiday season??? Watch the Main Street Electrical Parade as the early parade and then Paint the Night as the late parade. That would be a dream come true! I love both parades! I was so sad when MSEP left DLR for WDW. I felt nothing could replace it. Then I saw PTN opening weekend and several times since and LOVE IT! If I could watch, live, both parades in the same night, well can I just say please? Will either of the night parades be going on when my family arrives January 8-11, 2017? My girls loved Paint the Night and would certainly love Main Street Electrical Parade! Well I may be heading to California sometime after christmas, so would the MSEP still be having an encore engagement by that time? Well is the blue fairy coming back .. I mean that’s what I remeber as a kid .. I wasn’t fond of the whole tinker bell floats . Does the Electrical Parade still use incandescent lights or did it finally go green? If you’re bringing back the Electrical Parade I hope it stays through next summer. Can’t wait to see it again. Paint the Night will always be in my heart. I am excited for the Main Street Electrical Parade coming back to Disneyland! I am wondering if we are swapping the parades with WDW and maybe they will get the Paint the Night for a while. Hmmmmmm? So sad by this – we are arriving Sept 7th! 🙁 I was so excited to see the parade – with a first time adult Disneyland guest – I was so excited to excited to share this experience. 🙁 I hope that they have something in the evening – to take away this and Disneyland forever – is not good. Is there a date that Disney will announce when the MSEP will start, and what dates PTN parade will be running over the holidays? i’ve heard that disney will have both the electrical parade and paint the night (but only i certain occasions). im not sure if its true but im hoping they keep ptn still ! at least we’re getting back our beloved night time parade !! that was the highlight of my childhood ! OMG! OMG! OMG! Best news ever! I was at the last Electrical Parade showing at DL and I can’t wait to be there when it returns!!!!! When you early next year, so you mean not till 2017? So the park will have no nighttime parade from Sept 5th thru New Years?? If so, not good. I’m thrilled to see the MSEP back at its original home, but why the delay in getting it running? I’m very sorry to see the parade go , but hopefully they are planning on bringing in a new maybe more update parade? Because it would be sad to see it go away altogether for the new children who have never seen it to miss out !! Oh please! Oh please! Say you will have a showing of the Paint the Night Parade at Disneyland when my family is there in Oct! Oct the 18th to be specific. I love the Paint the Night Parade. My son loves it too! He was so excited to see it on the stream recently and now I don’t know how to break it to him that when we visit he won’t get to see it. 🙁 Don’t take it away!!! This is by far the worst news I have received all week… And worst Disney news I’ve ever heard only topped by the ending of Aladdin at the Hyperion. I am very very sad. Nooooo don’t take it away!!!!! It was truly magical. We have enjoyed the parade for many years. 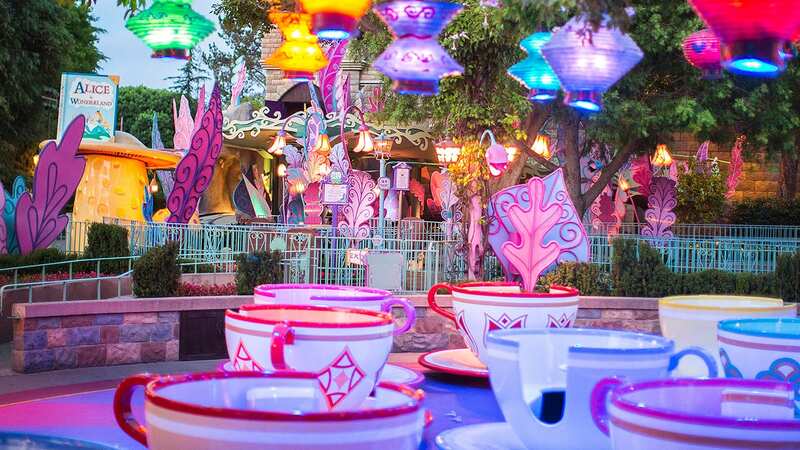 That is one thing that is always talked about around our family table that “magical parade.No other parade compares. Disney World will not be the same. Ending our magical day with the most magical parade and fireworks following was a memory never forgotten. We were bringing two others with us this year in December that will be their very first time. They were so looking forward to the electricial parade. How disappointing!! !